Investing in fiber-optic internet can significantly increase your bandwidth potential. Copper wire infrastructure and TDM technology are limited in nature. Because it was originally designed for transmitting voice calls only, the demand for bandwidth wasn't high. For instance, T-1 can only carry 1.5 Mbps of throughput. And because of how electrical signaling works, many types of connections over copper are limited by distance. Is the speed increase of fiber-optic internet noticeable compared to copper? Absolutely. 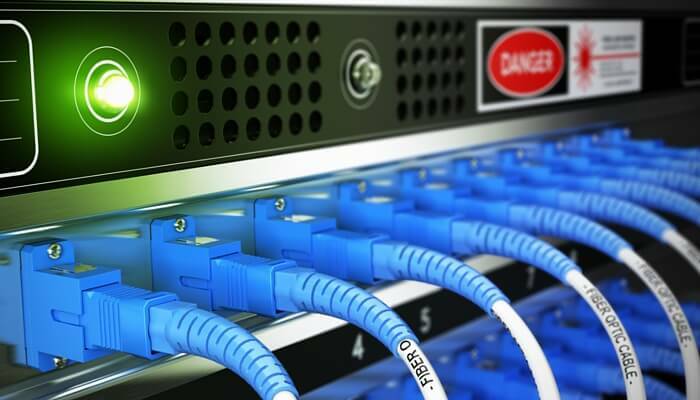 In an era of increased attention towards cyber security, fiber-optic internet is touted as a cost-effective way of instantly increasing your Internet security. Intercepting copper cable can be performed by connecting taps to a line to pick up the electronic signals. There are a number of factors that can cause outages when an organization is reliant on copper cable-based internet. Temperature fluctuations, severe weather conditions, and moisture can all cause a loss of connectivity. Old or worn copper cable can even present a fire hazard, due to the fact it carries an electric current. Additional reliability concerns associated with copper include risks of interference from electronic or radio signals. Additionally, copper wires are accessed in the building by telephone company personnel and sometimes they can make mistakes and fiddle with the wrong wires. Also, copper wires all go back to the telephone company Central Office where disconnections can happen. Fiber is typically independent of the phone company, their equipment and their termination points. The speed of internet transmitted via copper cable is directly correlated with the weight of cable used. For a business to achieve a higher speeds, more cable must be used, which requires more space in a company's telecommunications room. Investing in fiber internet will cost more than copper in the short term though costs are drastically decreasing as this option becomes more commonplace. Ultimately, the total cost of ownership (TCO) over the lifetime of fiber is lower. It's more durable, cheaper to maintain, and requires less hardware. 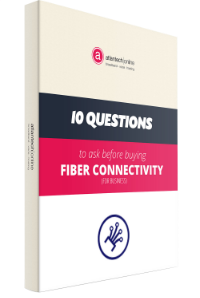 The advantages of fiber make it overall, a more cost-effective investment for organizations of all sizes. Copper cable is a relatively delicate technology. Typically, it can sustain about 25 pounds of pressure without being damaged, which means it can be compromised with relative ease during routine operations in a company's telecommunications space. While organizational information technology needs can vary drastically, the benefits of fiber-optic internet are making it an increasingly common choice for business data transmission. Companies who choose to invest in fiber typically find that the total cost of ownership, bandwidth potential, and speed gains are noticeable. 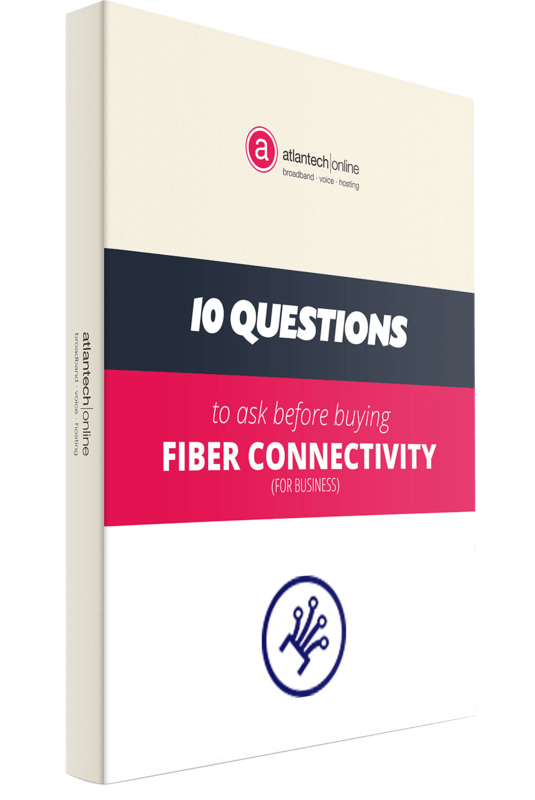 For more information on Atlantech's fiber internet solutions for businesses, click here to learn more about connecting your location.